Upon arrival at Golden sands all guests are required to register at reception and pay a registration fee, the charge paid will vary depending on the time of your visit and is non-refundable. This charge is to be paid by the guests, prices vary dependant on how many guests are staying and the dates of the stay. *No smoking inside van if found to have done so breakage deposit will be lost, holiday will be cancelled and no refund will be made. * Payment taken by bank transfer, cheque or paypal only. 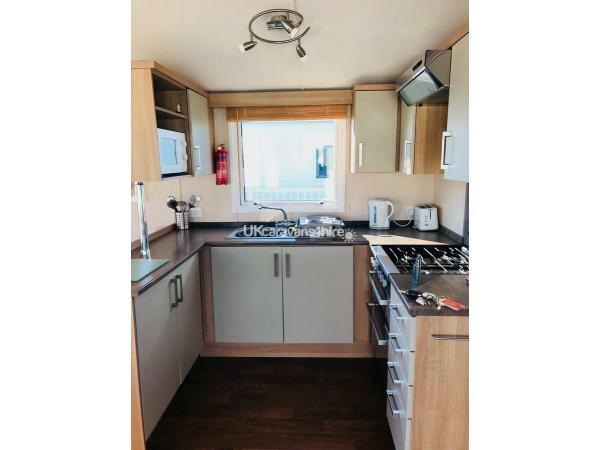 Our caravan is situated in a great plot and is available all year round for lettings. 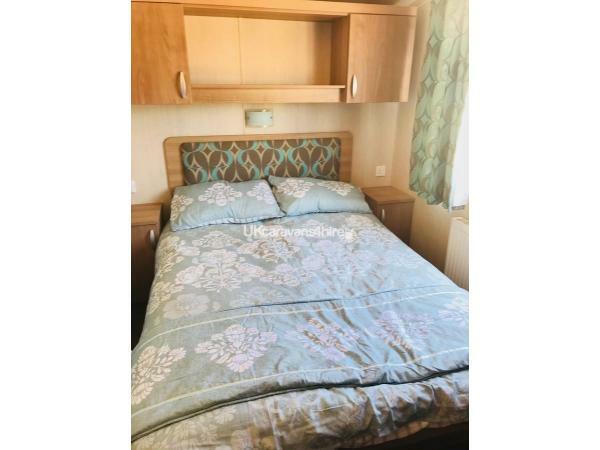 We have 1 king size bedroom with lots of space and a en-suit toilet attached to the bedroom, 2 twin bedrooms and a pull out sofa bed in the living area. We also have a travel cot available for those with toddlers. 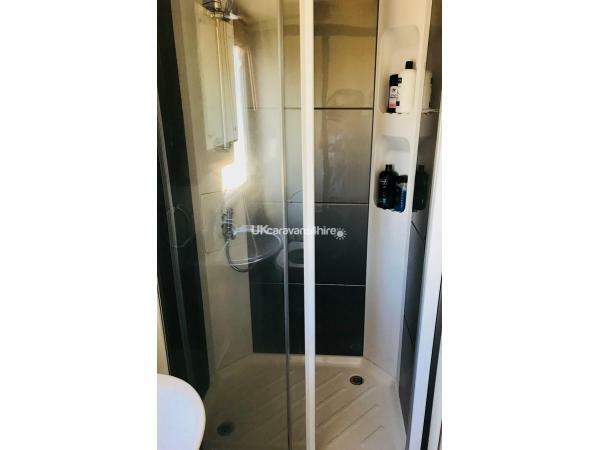 Our main bathroom has a large shower area, washing basin area and toilet which is very spacious as you may see on the photos. 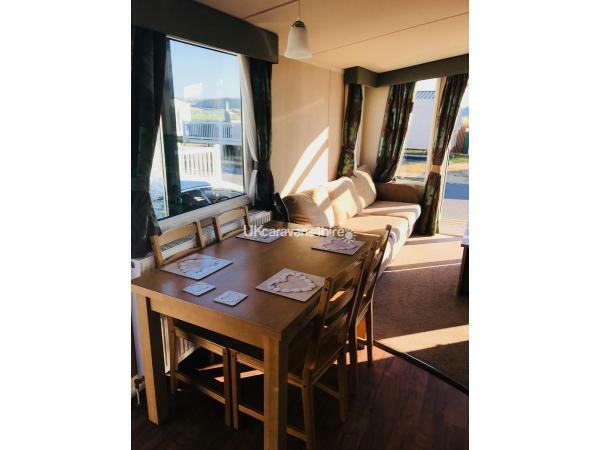 The living area has a large 3/4 seater sofa and a 2/3 seater with french doors which open out to our decking area where all the family can enjoy the sea air and breeze whilst relaxing on the outdoor seating area supplied. 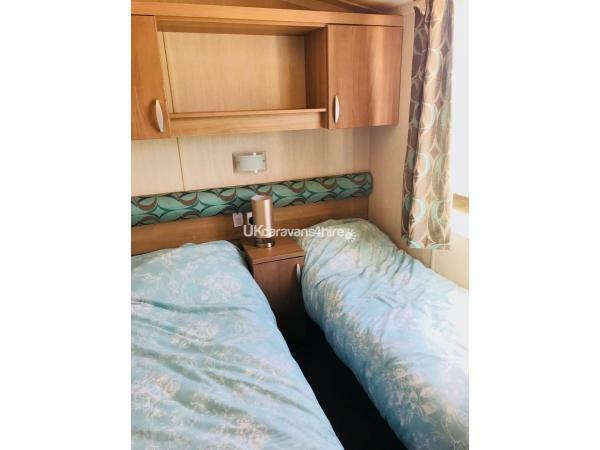 You will need to pay a registration fee at the front office and also pay for your holiday bands at the same time, hence why we offer our caravan with cheap rates as we take into consideration that you want a low price relaxing holiday which you or the children can enjoy and make some memorable memories. 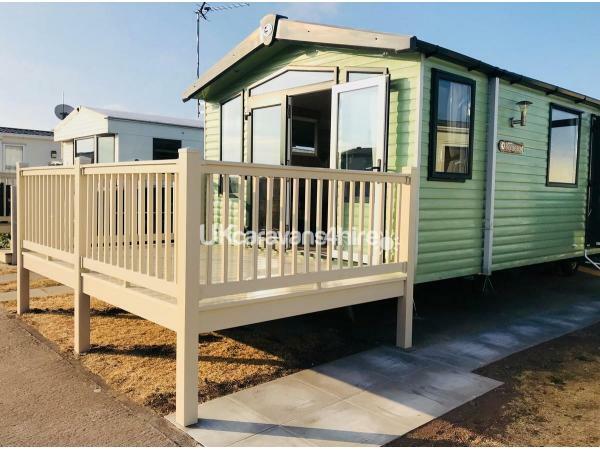 If you have any needs or requirements we will try our upmost best to supply these for you, because as your on a holiday you want to be able to enjoy all your moments and memory making without any fuss or hassle. For your food shopping needs there is an Asda very near by and also an Aldi in Rhyl. We also have an onsite shop for those things you may need ASAP or forgotten, at the end of the site there is also a corner shop. There is about a 40 yard walk and you will be at the gates to the entrance of the beach with amazing sea views. 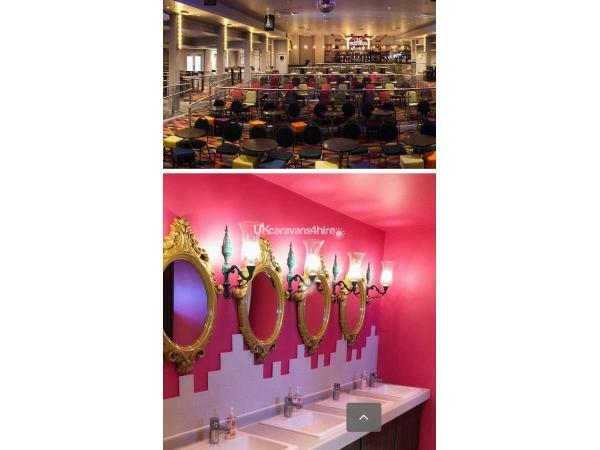 There is an onsite swimming pool, with a toddler pool and a heated Jacuzzi. 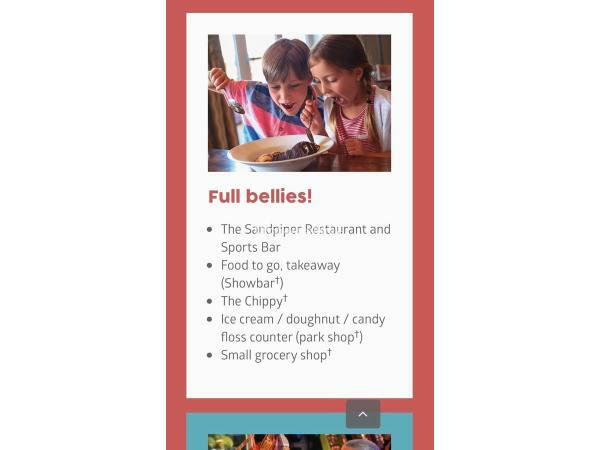 You also have the chip shop and the sandpiper who serve great food and is highly recommended, the Carousel bar for all your children's and adult entertainment from children's games and disco to adults cash bingo and adult games, the club offers a great range of entertainment for all. For the children we have Goldstars who are all amazing and offer time to all the children not leaving any of them out. 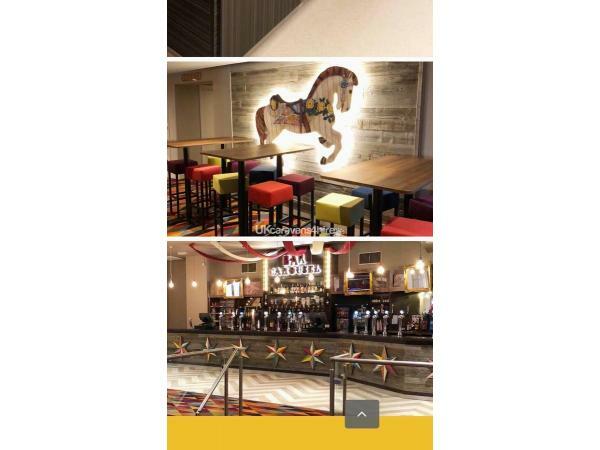 Also the Goldstars will mind your children on the dance floor whilst you can relax and enjoy a nice drink whilst playing cash bingo and watching the entertainment, (Remember its your holiday as well as theirs). 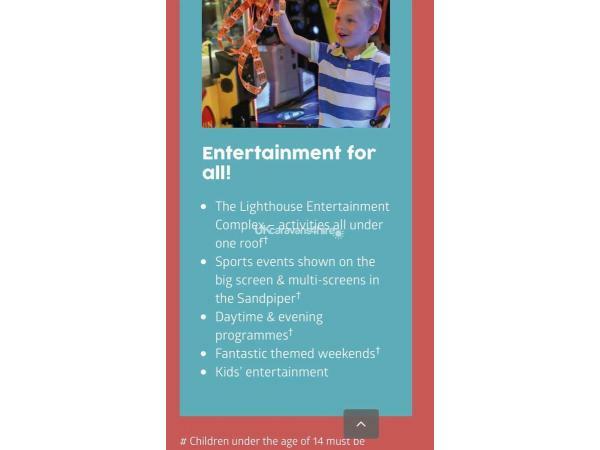 Attached to the club is the arcade and the soft play area. All the staff are very friendly too. 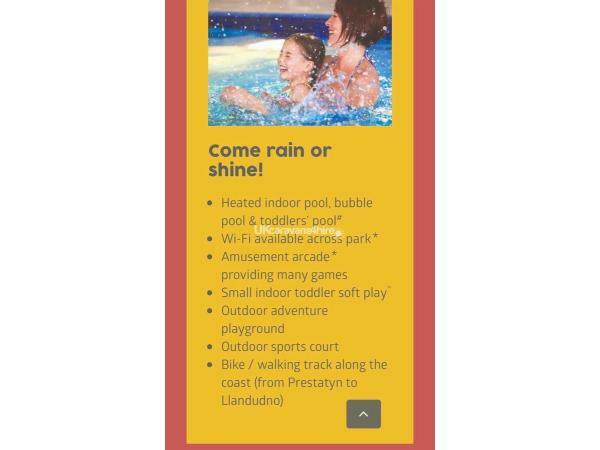 You are also very close to the Towyn market, Tir Prince fair and Knightly's Fair. We believe a true holiday is about making new memories and spending time with love ones and there is no better place then Golden Sands to do that. 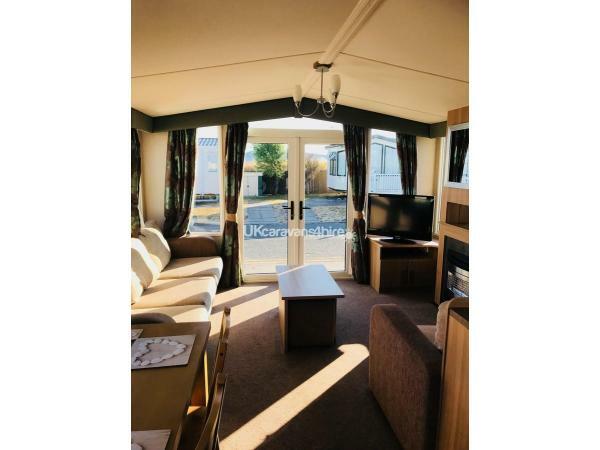 A £50 bound deposit charge will be required which once the caravan as been checked over for damages etc after your departure then the deposit will be transferred straight back to you, this will not be transferred back to you if there are any signs of smoking and cigarette ends, also deposit will not be nonrefundable if any signs of pets in the caravan. We find this a place to relax, chill out and soak up the sea air, so why can't you?. Call now for a low cost enjoyable holiday that would cost you twice over elsewhere.